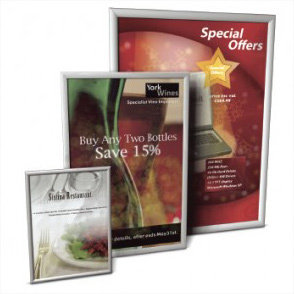 SignsDisplay.com offer a full turnkey solution from design to manufacture and installation on a range of workplace boards, we are able to produce a number of mount methods for these from wall mounted, to freestanding or hanging depending on your site layout and space available. 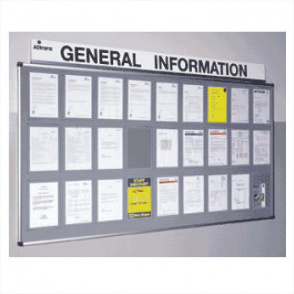 Our range of workplace shadow boards can be designed to your specific requirements to suit your exact shadow, hook grip and/or hang solution for the items mounted. A full range of these accessories are available / provided as part of your purchase. 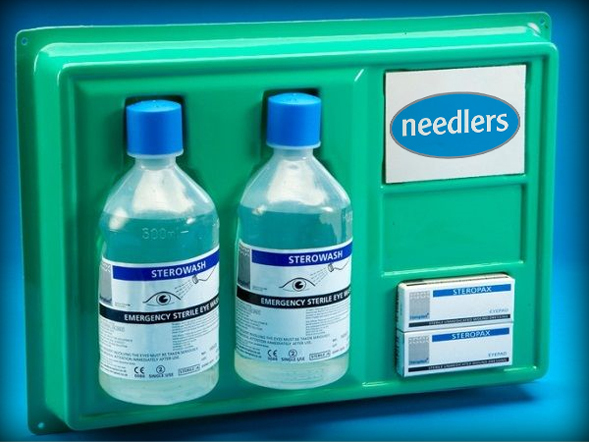 The shadow boards are often used to manage & monitor tools, equipment, cleaning products and / or first aid items & safety products. 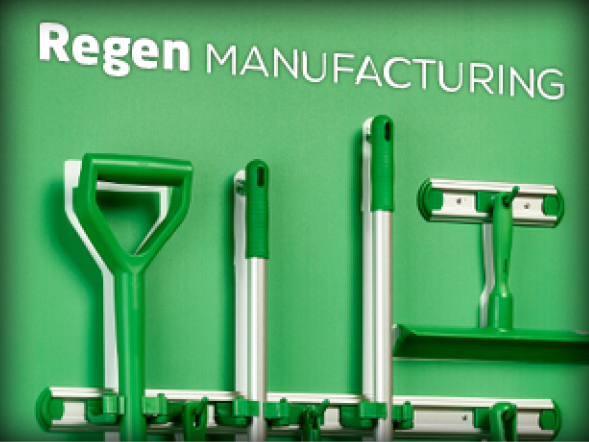 We can manufacture these to include any additional 5s production flow design requirements. 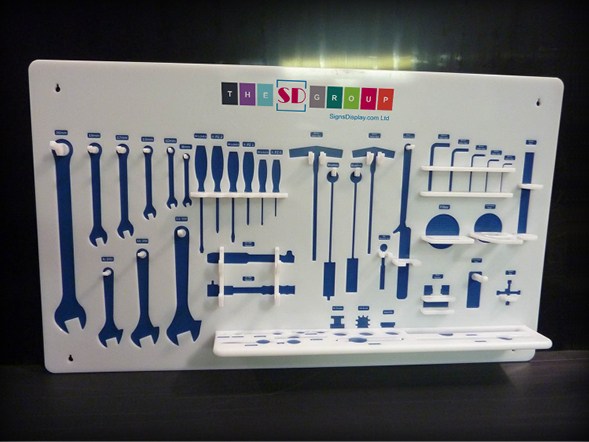 We offer multiple design revisions to ensure that the panels include all your desired items and can incorporate your branding logo and colours into the scheme of the design if you wish. 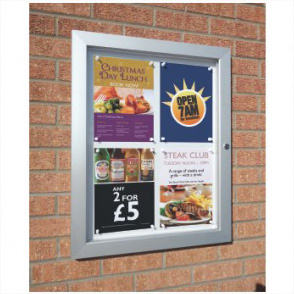 All of our shadow boards can be produced with drywipe background, magnetic backboard or using our anti-vandal coating. Option to produce on lightweight cost effective material for short-term use or premium grade quality material for permanent long term solutions. 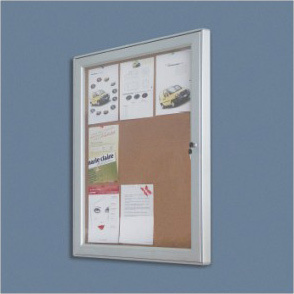 We offer framed edge to many of these boards to provide the finishing touch. 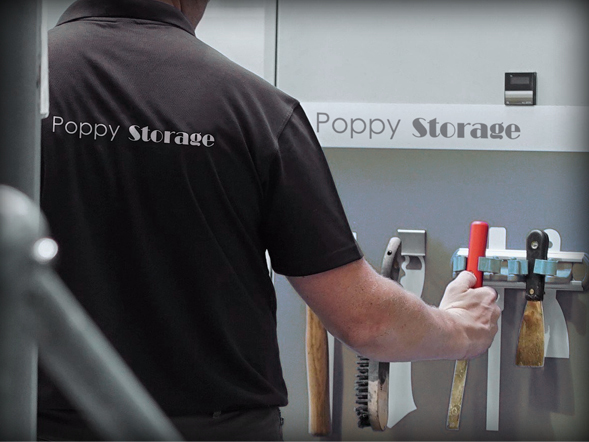 Our shadow boards can include showcard holders, dispensers, grip frames and anything else you feel would help empower your production team and the production process.